KARACHI: The Finance Supplementary (Second Amendment), 2019 has proposed to determine the valuation of imported mobile phones in US Dollar for collection of levy on smart phones. According to comments on the bill, chartered accountants at PwC A. F. Ferguson explained that through the Finance Act 2018, a new levy was imposed on smart phones valuing in excess of Rs. 10,000. This is payable at Rs1,000, Rs3,000 and Rs5,000 depending on their import values in Pak Rupee terms. It is now proposed to impose the levy on the basis of Cost and Freight value in terms of US Dollars instead of rupees. Mobile handset levy on smart phones of different categories is proposed to be abolished up to US Dollar 100 C&F value (earlier for Rs 10,000 including duties and taxes). While the maximum levy is enhanced to Rs7,000 from Rs5,000. 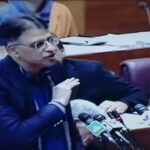 Finance Minister Asad Umar presented the Finance Supplementary (Second Amendment) Bill, 2019 on floor of the house on January 23, 2019. In his speech he pointed out that the duty and tax structure for imported mobile phones was very complexed. He said that Pakistan Telecommunication Authority (PTA) had blocked the unregistered mobile phones and implemented Device Identification, Registration and Blocking System (DRIBS). After the new system it is necessary to review that low priced imported mobile phones should not become costlier. He said that it is proposed to introduce simple slabs for implementing duty and taxes. It has also been considered that it should be ensured that duty and taxes should be increased for high priced smart phones.